OPENING RECEPTION OCTOBER 18TH - 6-8pm! Five new exhibits open that evening along with REAL ART WAYS Creative Cocktail extravaganza. "524 w(H)oles" by Maggie Nowinski, a faculty member at Manchester Community College, Westfield State College and Vermont College of Fine Art, is on display at "Faculty Artists from New England Colleges," at the Berkshire Art Museum in North Adams. "524 w(H)oles" - part of a group Exhibition featuring 30 artists who are visual arts faculty at various colleges and universities throughout New England. Exhibition runs through September 2018. Gallery is open Wednesday through Sunday 12pm-5pm. Nowinski is showing the iteration of the drawing installation of "wHoles". A collection of recent and new works in collaborative dialogue by Natasha Harrison and Maggie Nowinski. Showing together again for the first time in a decade, these artists and colleagues have come together after observing a confluence of refrains with relation to their current studio explorations. These parallels are evidenced in the forms, imagery and conceptual terrain in their current works. Informed by botanical, biological, microscopic and overarching patterns in living systems and bodies, Harrison and Nowinski come together with their material languages. Included in the conversation will be works in glass, paper, drawings, moss, collage, sculpture, sound, printmaking, pollen, flowers, other mixed medias and wall installation. 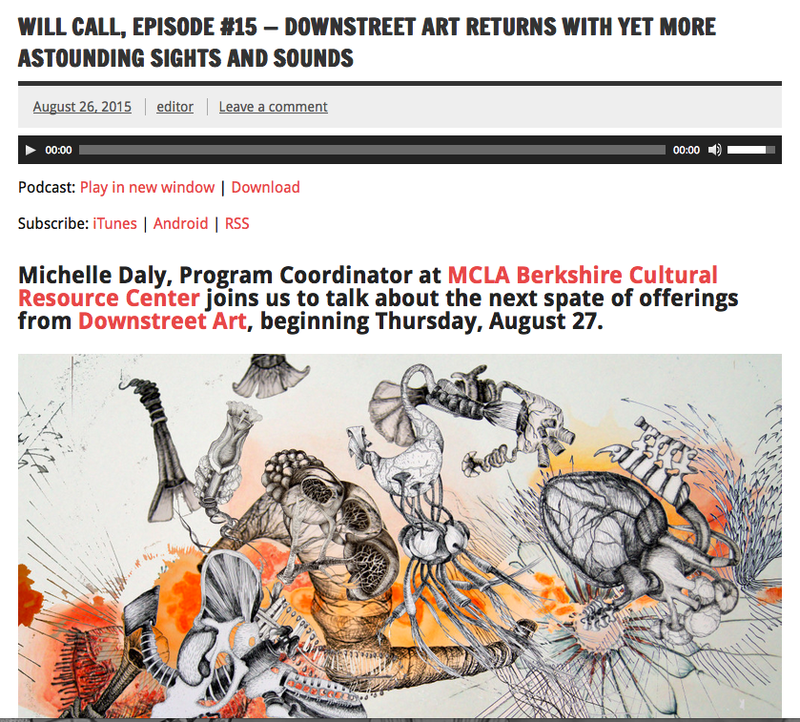 Berkshire Taconic Foundation A.R.T Individual Artist Grant recipient. I am pleased to announce I was awarded a Berkshire Taconic Foundation Artist Resource Trust grant for the 2016 cycle in support of continued and upcoming projects. Ten New England artists imaginatively explore the meaning of TRANS--transition, transsexual, transportation, transcendent--in a wide variety of media. 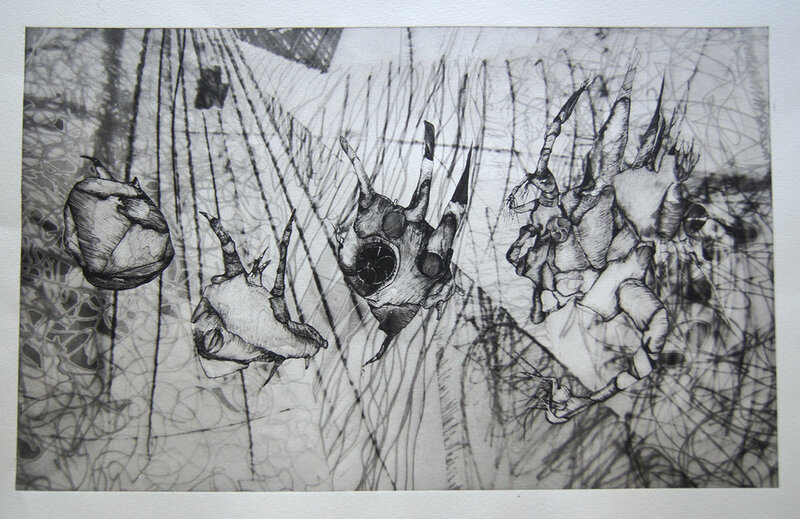 Photopolymer, limited edition intaglio prints are available for sale and viewing at Zea Mays Printmaking in Florence Massachusettes. 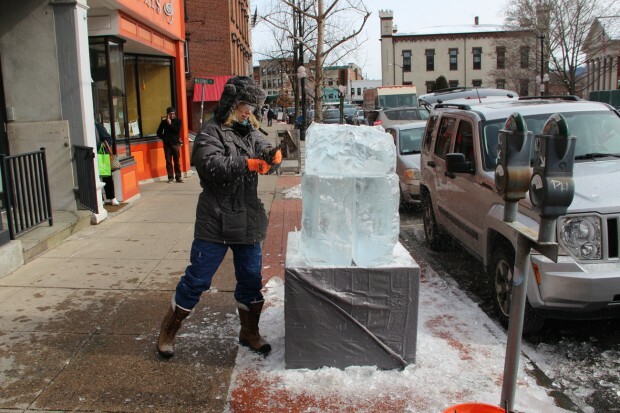 I was invited to participate in the Northampton Ice Carving Festival. In planning for the event I became most interested in the experience of exploring a new medium and in the act of creating something on the spot in public for a specific duration of 6 hours. The process of creating the piece, and dealing with unexpected technical and feel issues inspired a kind of performative play in my approach. Interactions with the public about abstraction and creative process often surprises me and for the most part I found people to be interested seeing the transformation and even embracing the ambiguity of the sculpture's form as it developed.